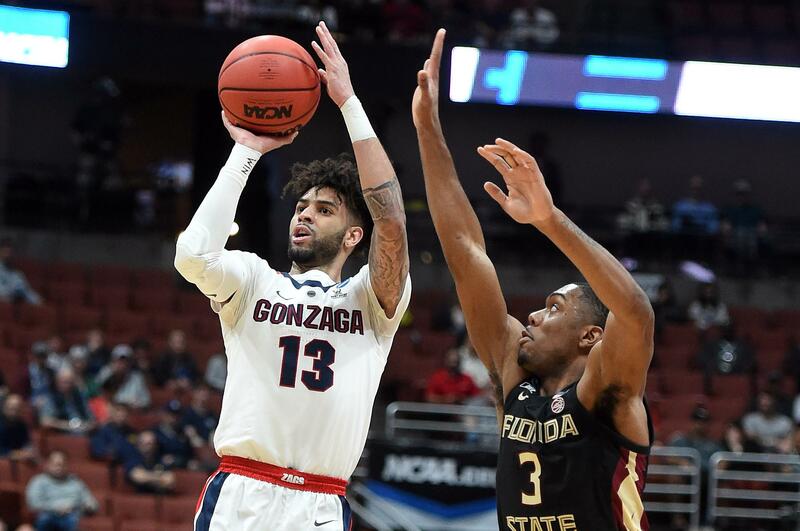 UPDATED: Tue., April 9, 2019, 4:18 p.m.
Gonzaga’s Josh Perkins has been selected to the Division I-AAA Athletic Directors Association’s Scholar-Athlete team for the second consecutive season. Perkins is finishing up his master’s in organizational leadership. He completed his undergraduate degree with a 3.24 grade-point average and holds a 3.66 GPA in his graduate program. The senior point guard made the West Coast Conference Commissioner’s Honor Roll the last three years. GU’s Chandler Smith was also honored for the second straight season on the women’s team. Smith earned a 3.87 GPA while pursuing her second master’s. Belmont’s Dylan Windler was named male scholar-athlete of the year. American’s Cecily Carl earned the women’s honor. Published: April 9, 2019, 12:25 p.m. Updated: April 9, 2019, 4:18 p.m.